How to Overcome the Challenges of Diversity within the Workplace? As a leading Banking and Financial Services Recruitment Agency in Dublin, we see first-hand the challenges that many employers face with diversity in the workplace. Naturally, when it comes to a professional environment, it is crucial for employers to recognise the significance of a dynamic workforce. While America may have paved the way in accomplishing a multiplicity of diversified workplaces, Ireland has also identified the need to highlight the importance of recruiting individuals from many different backgrounds and ethnicities. Early in 2016, KPMG acknowledged the importance of a diverse workforce with Managing Partner Shaun Murphy commenting on the fact that a versatile workplace is not only the right way to go but it is the bright way to go as it ensures our country will secure the most talented people in every industry. Although support and initiatives are in existence for maintaining a varied labor force, one of the biggest challenges employers now face is employee loss, This is often in addition to a decrease in productivity and, in some cases, legal consequences. Unfortunately, discrimination in the workplace is still happening in Ireland with the most recent case prosecuting Tennis Ireland on the grounds of age discrimination, following the appointment of their Chief Executive. In order to overcome the challenges of discrimination which lead to employee cessation, it is imperative that companies not only address the need for parity among their staff but also alter behaviour in some cases. So what can companies do to address this challenge? It is vital that organisations demonstrate a sense of commitment and initiative to sustaining equality within the workplace. Given that the average worker spends a third of their day at work, employers have the power to influence their employees. Beliefs are often led by good example from Senior Management; it should come from the top down. If it is company policy, which is often included in the Employee Handbook, then one needs to behave in an appropriate manner by respecting fellow colleagues. Furthermore, it is important that the company policy is clear and is communicated to all staff in an efficient manner at the commencement of their employment. Team building days are a positive way to help any team bond. More often than not, these days will typically test leadership, decision making, competitiveness and problem solving, uniting individuals as one in the process. We can vouch for this here – Quest has enjoyed numerous team building days which continuously radiate team spirit. A great way to incorporate team building exercises into the work force often is to pick a charity that your company feels strongly about and organise charity events around team building events throughout the year. Check out our charity page here for some ideas. As mentioned with the Tennis Ireland case, the recruitment process is one that is significant when ensuring equality and fairness is incorporated right through the hiring process from the sourcing of candidates to the on-boarding process of new recruits. It is crucial for employees to understand that hiring a dynamic workplace results in a wide range of possibilities and creativity. Regardless, the Workplace Relations Commission (WRC) enforces compulsory measures to ensure fairness and equality in the appointment of new staff. Failing to meet guidelines can result in legal actions and penalty fines. 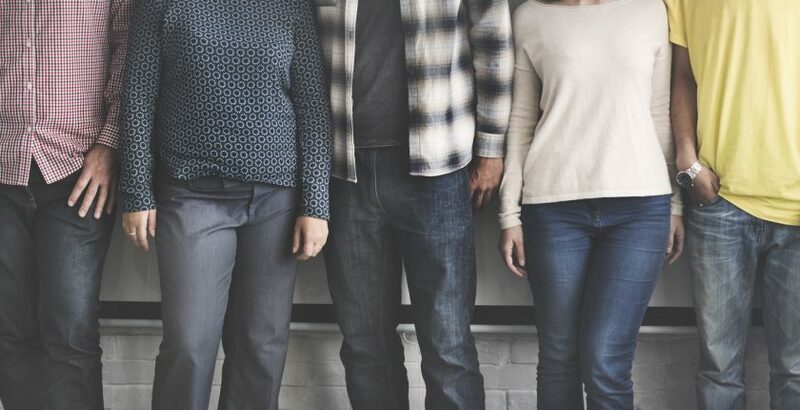 A great initiative that a company can take on board for their staff is offering a training scheme which caters towards the practice of addressing prejudice and discrimination, as well as complaints from bullying or harassment. In addition to combating these negative outcomes, training is also substantial in preventing these negative outcomes in the first place by helping employees understand the value of diversity and how it can be managed. This helps ensure that everyone is included and feels understood. For an interesting perspective on this, Heineken tackled the topic of ‘How to talk to your political opposite’ earlier in the year. This emotive clip has drawn the attention of millions of people and evoked a shared response of unifying individuals, though their beliefs may be a world apart. In the unfortunate case where an employee may decide to cease employment with a company, exit interviews should be a natural part of a company’s strategy in order to understand the triggers that made an employee unsatisfied in their job. In the case that those triggers were thought to be harassment or victimisation, employers will need this information to prosecute those who are instigators of such behaviour while also using this information to prevent such happenings from arising in the near future. Each company may act in very different ways but possessing this information gives an organisation the power to make positive changes. We would be very interested to hear your thoughts on the above and what you think the challenges that employers meet when it comes to diversity in the workplace are.